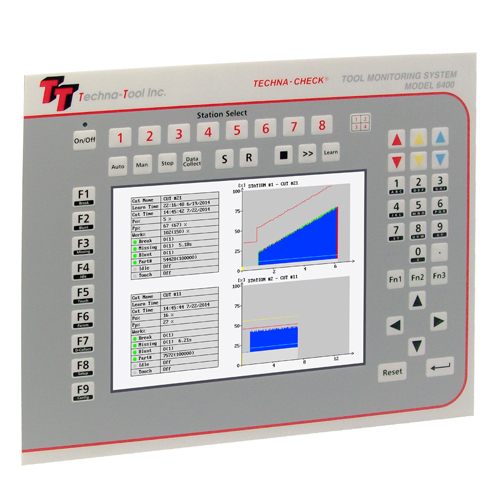 Tool Monitoring Systems for Broken and Missing Tools at Techna-Tool Inc. 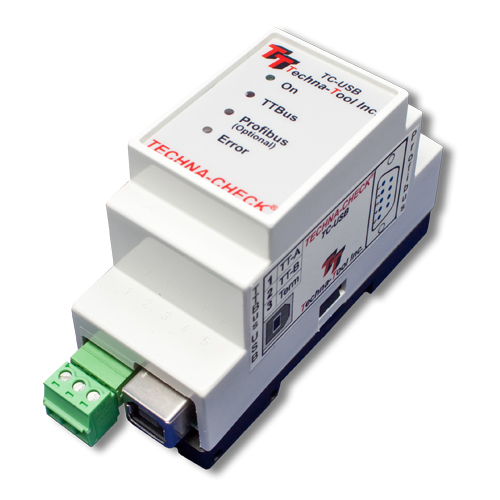 The TECHNA-CHECK® Tool Monitoring Systems have been developed to monitor for broken, worn and missing tools through spindle power monitoring or vibration analysis. Various models are available depending on the specific application requirements. The detection of missing or broken tools helps insure that the proper machining is being performed. Detection of tool wear and damage can help improve surface finish and tolerances. By detecting for tool wear and damage, expensive tooling can be changed before the damage gets too severe. This detection also reduces dependence on hit or miss part counting schemes. By creating the process improvements listed above, TECHNA-CHECK keeps your machine running longer. No mechanical modification of the machinery is necessary. The entire system mounts easily in your electric cabinet . Easy to use set-up software eliminates the need for outside service, allowing you to make modifications and adjustments on the floor. 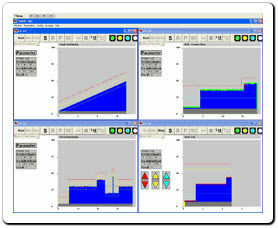 The built-in "learn" function enables the system to compensate for differences in tool grind, improving the monitoring while reducing nuisance faults. Measuring for worn tools helps you maximize your tool life. Preventing crashes & tool breakage can help eliminate costly damage to your spindle. Catching tool breaks minimizes scrap while guaranteeing perfect parts. Detection of idle power faults can alert you to broken belts or bad bearings. 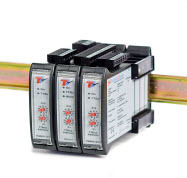 By detecting catastrophic tool failure, TECHNA-CHECK can prevent serious damage to your head and feed mechanisms, not just at th e station being monitored, but are down-stream stations where "chain reaction" effects can occur.